In a world where quirks are normal, the characters of My Hero Academia now have that adorably quirky Funko style! 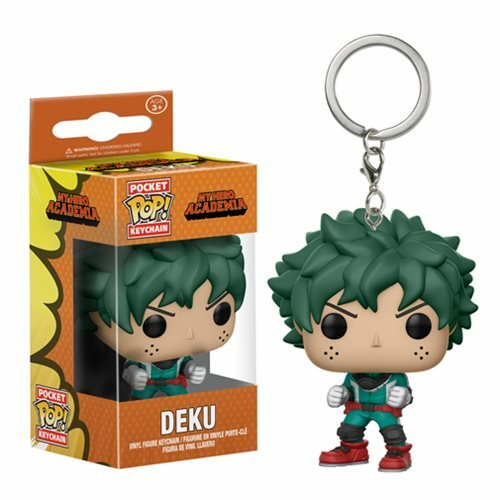 From the popular anime, this My Hero Academia Deku Pocket Pop! Key Chain measures approximately 1 1/2-inches tall and comes packaged in a window display box. Ages 3 and up.